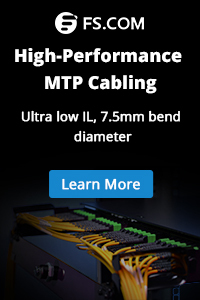 ← What Is Twinax Cable? Patch panel is a device designed with a few jacks to monitor, interconnect and test circuits on network connecting and circuits routing. 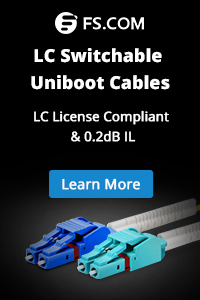 It is very convenient and is commonly used in computer networking, radio, audio, TV, etc. Nowadays, Ethernet patch panel is almost the most common application of its kind. It is of great importance for cable management in data centers. Serving as the nerve center of the cabling network, the importance of patch panels cannot be neglected. There are different forms of Ethernet patch panels. Here, let’s focus on the mostly used three, keystone patch panel, feed-through patch panel and punchdown patch panel. Keystone patch panel is a traditional form of Ethernet patch panel. It is always in flat style with 1U rack space (24 ports). The clear numbering on the front provides a quick, easy way to identify cable runs, grounding wire included. In addition, keystone lets you create your own color coding scheme. You can choose to card into different color modules for color code management. 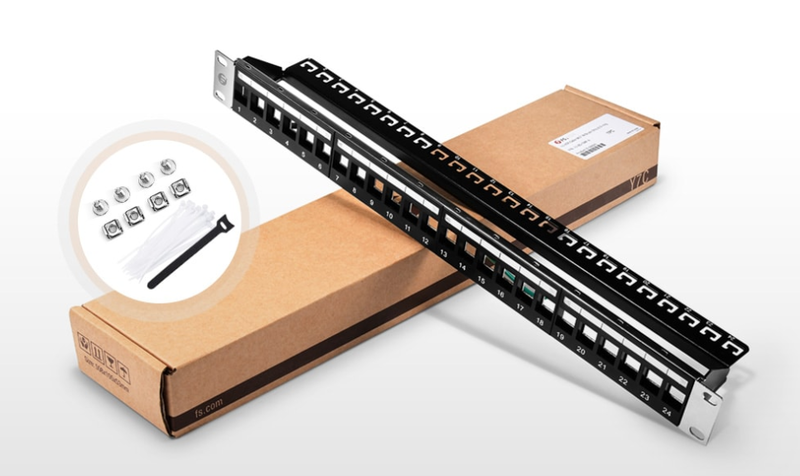 Feed-through patch panel is an in-line series of connections mounted onto a frame, which enables network cables to be terminated in an orderly manner. It is usually in 1U (24 ports) and 2U (48 ports) configuration. The feed-through patch panels have RJ45 ports on both sides for easy installation. It can be repaired without punching a large amount of wires onto the back of the panel, which keeps the patch cable clean at the back of the panel. Without punching down the wires to the ports, it saves time and energy while maximize productivity. Among all the feed-through patch panels, Cat5e and Cat6 patch panel are commonly used in data centers nowadays. 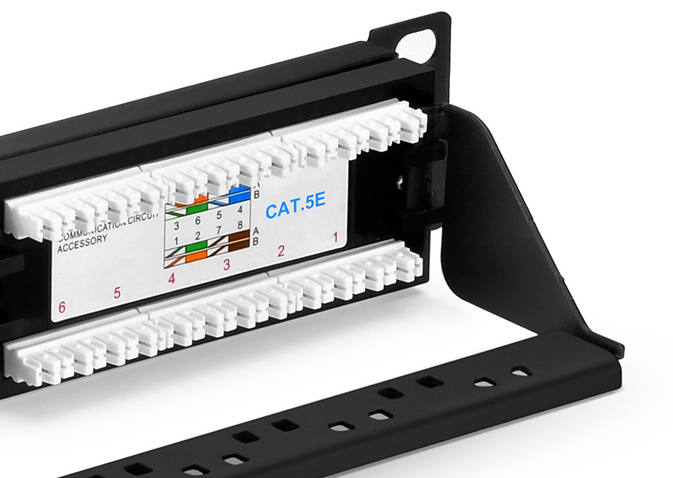 Punch down types are available in Cat5e or Cat6 patch panel. In the front of the panel, RJ45 ports (usually 24 ports) are used to directly connect Ethernet copper cable. And these ports have their own numbers as well for easy identification. In the rear, it has patch panel module with color markings for punching down Ethernet cable. This type of panel is a litter cheaper than other panels. Normally, color coded labels are designed for T568A and T568B wiring configurations. You should insert each wire into its own slot and then terminate the wires with right configuration match. Once you finished the cable installation, you should have a double check with a cable tester to see if all the wires are correctly terminated. Among the different forms of patch panels, keystone can provide different color module management. Punchdown is cheaper but with complex cable installation steps. 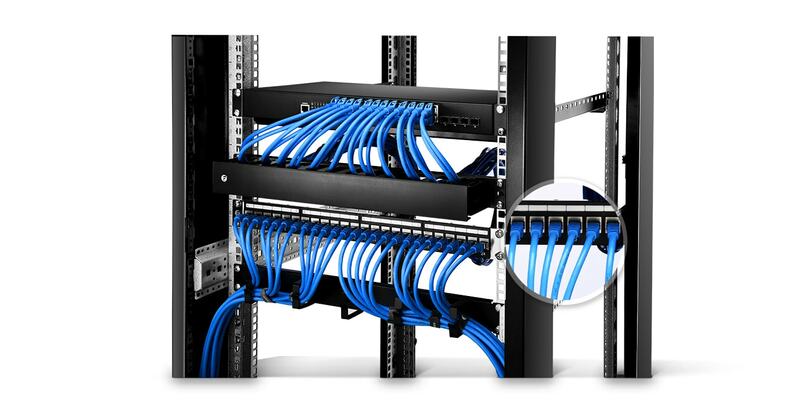 While, feed-through patch panel is more expensive but it is less messy and is quite suitable for high-density network system, which can protect cable and improve cable management efficiency. This entry was posted in Fiber Patch Panel and tagged Cat6 patch panel, ethernet patch panel, patch panel, patch panel ethernet. Bookmark the permalink.